BIMCO’s position on “ballast water management” has been approved by the BIMCO Board of Directors. The Ballast Water Management (BWM) Convention entered into force on 8 September 2017. Ships constructed before this date must in general terms comply by the first renewal survey for their International Oil Pollution Prevention Certificate (IOPPC) following entry into force. Ships constructed on or after the entry into force date must be built to comply. The US Coast Guard’s (USCG) BWM Regulations entered into force on June 2012 and apply to new ships constructed on or after 1 December 2013 as well as to existing ships after their first dry-docking in 2014 or 2016 – subject to their ballast water holding capacity. BW exchange in a designated BW exchange area may result in delay and additional expense that will need to be allocated contractually between the parties to avoid possible disputes. Several challenges connected to implementing the BWM Convention must be overcome. They are ranging from a lack of suitable BWM systems for certain ship types to crew and ship safety, retrofitting, hardware and software failures, and insufficient support from manufacturers. As a result of these challenges and the different operating principles as well as maintenance demands, familiarization training should be adapted to the individual BWM system. • An international BWM certificate should be sufficient initial evidence of compliance with the BWM convention. • There is a need to develop international, pragmatic, practical and harmonised testing procedures for samples of treated ballast water. • Shipowners should not be liable for the time and costs of sampling and testing by port states or national administrations unless the ship is found to be in non-compliance with the BWM convention or other similar regulations. 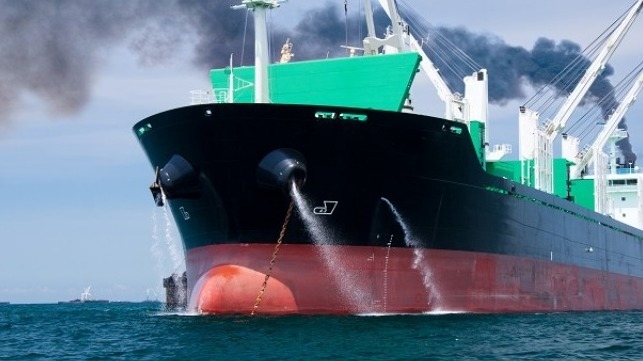 • Sampling/testing of ballast water should not interfere with ships’ operations. • BIMCO advises shipowners to consider checking if the manufacturer’s service network cover the ship’s trading area.